1. 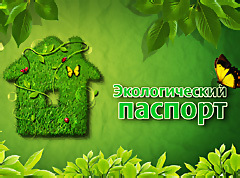 The Non-governmental organization Social movement of Ukraine “For the right of citizens to environmental safety” /hereinafter referred to as – the Non-governmental organization/ is a voluntary not-for-profit all-Ukrainian non-governmental organization that in circumstances of forming the law-governed state aims at the securing of ecological safety as a priority right, and environmentally sound native habitat as a basic right of every citizen for the safe environment (as regards life and health) and the recovery of damages caused by the violation of that right. 2. The non-governmental organization acts based on voluntary participation, equality of its members, self-government, publicity, legality, unity of interest, and is an independent non-governmental organization. 3. The non-governmental organization may cooperate with state, public and other organizations, institutions and associations, movements, scientific establishments and individuals focused on the solution of tasks common with the non-governmental organization. The non-governmental organization may, on cooperation and sharing of experience basis, contact with environmental, medical, legal institutions and organizations, scientific establishments, ecological associations and organizations, ecological associations and organizations of other countries, international environmental institutions and associations, etc. 4. The non-governmental organization is an independent legal body from the date of its state registration as prescribed by the effective legislation; is has separate property, bank accounts, round seal with its full name, stamps, flag and emblem, button, other attributes and marks, design of which is approved by the Presidium of the Central Council of the Non-governmental organization. The marks are registered in accordance with the procedure established by law. The marks of the Non-governmental organization can be made only pursuant to the decision of the Presidium of the Central Council of the Non-governmental organization. Crimean republican, regional, Kyiv and Sevastopol city, district branches of the Non-governmental organization, as well as other divisions are subject to this Statute in their activities and lodged with powers of a legal entity in the manner prescribed by the law, on the resolution of the Presidium of the Central Council of the Non-governmental organization. - in Russian – Общественная организация «Общественное движение Украины «За право граждан на экологическую безопасность». - in Russian – ОО «ОДУ «За право граждан на экологическую безопасность». 7. The Non-governmental organization had been incorporated and acts in accordance with the Ukrainian legislation in force – Constitution of Ukraine, Laws of Ukraine “About uniting the nationals”, “About environmental protection”, “About property”, “About wastes”, “About outside air protection”, Water Code of Ukraine, Land Code of Ukraine, other laws and regulations, international agreements of Ukraine and this Statute. 8. The State provides for the compliance with rights and legal interests of the Non-governmental organization. Officials and government intervention in the Non-governmental organization’s activities is not allowed, unless provided by the law. 9. The Non-governmental organization may, in its own name, act as a participant of civil-law relations, acquire property and personal non-property rights, bear responsibilities, act as a plaintiff and defendant before the court. 10. The Non-governmental organization acts having all-Ukrainian status in the entire territory of Ukraine. 11. The Non-governmental organization’s location is at 16, Oles Gonchar Street, Dnipropetrovsk, Ukraine, 49005. 13.19. Initiation and carrying out environment impact assessments at environmentally hazardous objects. 14.8. File cases about recovery of damages (including moral damage and damages to health of the Non-governmental organization’s members and property), caused by the violation of the environmental safety law. 14.27. In accordance with the current legislation, dispute decisions on default in providing or untimely providing of the ecological information as requested or improper rejection of the request and its incomplete fulfillment. 14.28. In accordance with the current legislation, establish institutions, organizations, mass media, incorporate entities acting on basis of their own statutes as required for the realization of the statutory objectives. - Board of a district (regional) organization. - acting in accordance with this Statute and decisions taken by the management bodies of the Non-governmental organization. Territorial primary divisions, regional, city organizations report to District (regional) organizations. District organizations report to the Central statutory bodies of the Non-governmental organization. Primary divisions, regional, city organizations are established based on foundation meetings of individual groups (not less than 3 persons) of a corresponding location, approved by the decision of the Board of District (regional) organizations, during one month, and legalized in accordance with the current Ukrainian legislation. There is one regional, city or district (regional) organization of the Non-governmental organization within a region, city or district. By the decision of a District (regional) organization of the Non-governmental organization, a municipal regional organization of a regional status of the Non-governmental organization may be established, activities of which are expanded to the territory of a city of oblast subordinance and so named region. In a city with regional dividing a local organization and/or regional organizations of the Non-governmental organization may be established. 33. District (regional) organizations and regional, city organizations (regional divisions) are registered with the higher-level management bodies of the Non-governmental organization, as provided by the Statute. Based on internal registration procedure, district (regional) organizations and regional, city organizations (regional divisions) are subject to the state registration as established by the effective law; thereafter they earn a legal entity status. The Boards of District (regional) organizations adopt regulations (decisions, resolutions, protocolary decisions, instructions) of the internal registration of respective primary divisions, regional, city organizations. Based on the regulation and the certificate of internal registration, a respective organization (division) is subject to the state registration, as required by law. City organizations (in a city with regional dividing) without regional status, are subject to the state registration, as required by law, based on regulations (decisions, resolutions, protocolary decisions) of the Board of District (regional) organizations of the Non-governmental organization and the certificate of internal registration. 91. As provided by the legislation, the Non-governmental organization owns property and funds. The Non-governmental organization may own buildings, transport, mass media, laboratories, complexes and other objects and property required to perform statutory activities of the organization and acquisition of which is not prohibited by law. 92. Own funds of the Non-governmental organization are comprised of charitable contributions‚ assistance, the Non-governmental organization members’ contributions and other incomings not prohibited by the legislation in force. The Non-governmental organization obtains title to funds and other property transferred by founders, members (participants) or the state and/or other individuals, acquired from membership fees and members’ contributions, subscriptions of public, entities, institutions and organizations irrespective of their forms of ownership, as well as to property acquired at its own expense or as otherwise provided by the law. f) other activities not prohibited by the Ukrainian legislation and the Statute of the Non-governmental organization. 94. Uses of cash funds and other property of the Non-governmental organization is regulated and monitored by the Head of the Non-governmental organization, the Congress of the Non-governmental organization, the Central Council of the Non-governmental organization and the Central Supervision and Auditing Committee, in accordance with the current legislation. Managerial bodies of the Non-governmental organization report to the Congress of the Non-governmental organization about the use of its property. 95. The Non-governmental organization, its District (regional), local, city organizations and primary divisions may have their staff members as provided by the effective legislation. 96. The Head of the Non-governmental organization, his deputies, heads of District (regional), local, city organizations and primary divisions, their deputies, directors of the supervision and auditing committees of District (regional), area, city organizations fulfil their obligations as a public service. Other members of elective bodies of the Non-governmental organization fulfil their obligations as a public service. The Non-governmental organization reimburses to its members actual expenditure incurred due to their fulfilment of obligations in the Non-governmental organization within the applicable law its members. 97. The Non-governmental organization has a single Statute. District (regional), local, city organizations and primary divisions of the Non-governmental organization do not have their own statutes and act on the basis of this Statute. 98. Based on the internal registration, District (regional) organizations and local, city organizations are subject to the state registration, in accordance with the procedure established by the legislation. Thereafter, they obtain the status of a legal entity and act on a legal entity basis, have own balances, bank accounts, stamps and seals. Primary divisions do not have a legal entity basis and legalize their activities through the notification, in accordance with the procedure established by the legislation. Samples of stamps and seals of District (regional) organizations and local, city organizations are approved by the Presidium of the Central Council of the Non-governmental organization. 99. The Non-governmental organization has an exclusive right to use its name (both full and short) and marks. The use of the Non-governmental organization’s name and marks by persons, who are not members of the Non-governmental organization, as well as by government bodies and agencies of state administration, local government bodies, entities, institutions, organizations for the purposes other than the Non-governmental organization’s activities, is allowed only by the decision of the Presidium of the Central Council of the Non-governmental organization. 100. The Non-governmental organization keeps its records and statistical reporting in accordance with the current legislation. The Non-governmental organization does not bear any property responsibilities of the Non-governmental organization’s divisions being legal entities; the latter do not bear property responsibilities of the Non-governmental organization. 101. All documents of the Non-governmental organization are its property kept in the archive of the Non-governmental organization. 102. The Non-governmental organization is entitled to establish or join international social (non-governmental) organizations, found international unions of associations of citizens, maintain direct international contacts and communications with ecological organizations, non-governmental organizations of other countries, international and intergovernmental organizations, enter into partnership agreements and perform actions in accordance with the law and international agreements of Ukraine. The Non-governmental organization is not to conclude agreements, where the Non-governmental organization will be under the ferule of any other foreign ecological organization, non-governmental organization, international and intergovernmental organization, or in a subordinate situation.